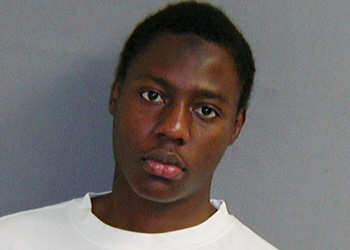 The so-called Christmas bombing attempt – when Nigerian citizen Umar Farouk Abdulmutallab failed to bring down Northwest Airlines flight 253, which was headed from Amsterdam to Detroit – revived the debate on the aims and strategies of preventing and fighting terrorism. Once again there were references to the war on terror, the long war or the fight against Islamic extremism. Regardless of how one describes the struggle, or whether one is really gripped by world politics, it is hard to pretend that it is not our problem. After all, we all travel by plane, and as the new security measures are being discussed and introduced, this means of transportation has become even more exasperating and time-consuming. Anyone who has travelled since Christmas Day 2009, be it within Europe or on a transatlantic route, can testify to this. This is frustrating not only for globetrotters but also for infrequent-flyers who use Krakow’s Balice Airport every half-year or so. More importantly however, are these kinds of media-hyped security enhancements the correct answer to the latest threat? First of all, what has changed since last Christmas? One might observe that in the department of airport security, officials have already started to introduce precautionary steps. One of the debated devices of the moment is the full-body scan, or the so-called “naked scanner”, which is to be installed at airports worldwide and which will be able to “see” everything, literally. There has also been talk about a new rule that will prohibit leaving one’s seat an hour after take-off and before touchdown. During this time, passengers will not be allowed to cover themselves with blankets. And for transatlantic flights, we will be required to arrive up to four hours before departure. In fact, expats, students and tourists who visit Krakow confirm that security measures were tightened at airports immediately after the Christmas bombing attempt. And this is not happening only in the United States. On the contrary, some passengers have observed that it is European airports and airlines that are leading in these changes. This might come as no surprise since several European airports have gained a damaging reputation of allowing security breaches, such as Amsterdam’s Schiphol airport, where the Nigerian terrorist boarded for the flight to Detroit. No airport wants to hold the dubious distinction of being the place where terrorists take off on their last journey. And no airport would welcome a ban on transatlantic flights, which is what could also be at stake. But coming back to the fast-paced safety improvements, one may ask the question of what is the ultimate goal and how far are we going with this. “It is a placebo for the general public to feel better,” says Jeff Maslanik, a student of Transatlantic Studies at the Jagiellonian University, who recently flew back to Krakow from Denver via Boston and Dublin. It is hard not to agree with this assessment. Even if there is a genuine effort by aviation and government officials to heighten the level of security, there will always be passengers that are simply afraid of the unthinkable, which consequently makes some of the safety procedures at the airports a show rather than serious precautions. Finally, there seems to be a more significant concern to address: Are we not granting the terrorists an unintended favour? As Fareed Zakaria – the editor of Newsweek International and host of CNN program GPS – recently noticed, overreacting to al-Qaeda’s terrorist threats is exactly what they want us to do. The terrorists’ goals today seem to be quite simple: to inflict chaos, fear, and panic and sooner or later to cause an overreaction. Phillip Zelikow, a senior member in the Bush administration, advised that perhaps we should think about airport and airline security similarly to how we analyse airplane catastrophes, that is, to “constantly fix what’s broken and keep improving the design and execution”. In general, the abandoning of airport security measures as a challenge to terrorists to conduct their attacks, is clearly not a cause worth advocating. This would be downright dangerous. But on the other hand, let us not pretend that there is a magical way to prevent all future attacks. We – living and travelling in the West – tend to forget that we had been living in a relatively secure world for at least 20 years. We often behave as if there was such a thing as perfect and absolute security. This is what helps al-Qaeda and their followers to stay alive. Our preoccupation with airport security might also stem from the way most people think about modern terrorists. For many, the common image of the terrorist is a frustrated, extremely poor, uneducated individual who blames the Western world for his or her pitiful conditions, and as a result wants to take revenge on random civilians. If we follow this logic, once the borders are tightened up, terrorists will be kept at bay. Airport scanning procedures would do the rest by fishing up the suspicious characters. This, however, seems rather naïve. As recent examples clearly illustrate (again), the picture is much more complicated. Those who plot to kill innocent people, using shoe bombs (Richard Reid in 2001), soft drink bottles (an attempt in 2006), underwear explosives (latest Christmas bombing case) or just old-fashioned rifles (Fort Hood shooting), live among us in international metropolises like London, Hamburg or Amsterdam. They are quite often well educated at Western-type schools and universities, they come from rather rich families and have well-respected jobs. In other words, they are anything but outsiders or outcasts. As Anne Applebaum recently pointed out in the Washington Post, “Intellectuals may wear glasses and read books, but neither prevents them from throwing bombs – or from strapping them inside their underwear”. Once we have found out how to understand their grievances, we might then try to counteract their actions. Only then may we feel a little bit safer. But just a little bit.